My husband and I went on a day trip to St. Louis, Missouri yesterday and on our way home, we drove through Missouri’s wine country. Beautiful scenery the whole way. We stopped in the small town of Hermann. Hermann is known for some wonderful breweries. Of course we had to check out one of them. Inside, they had a wine-tasting area, a gift shop, a deli—and a self-guided tour area in their wine cellar. We walked down the stairs, not knowing what to expect. As soon as we rounded a corner near the bottom, I said, “Oh wow!” It was like stepping back in time. I whipped out my little camera which I carry in my handbag. 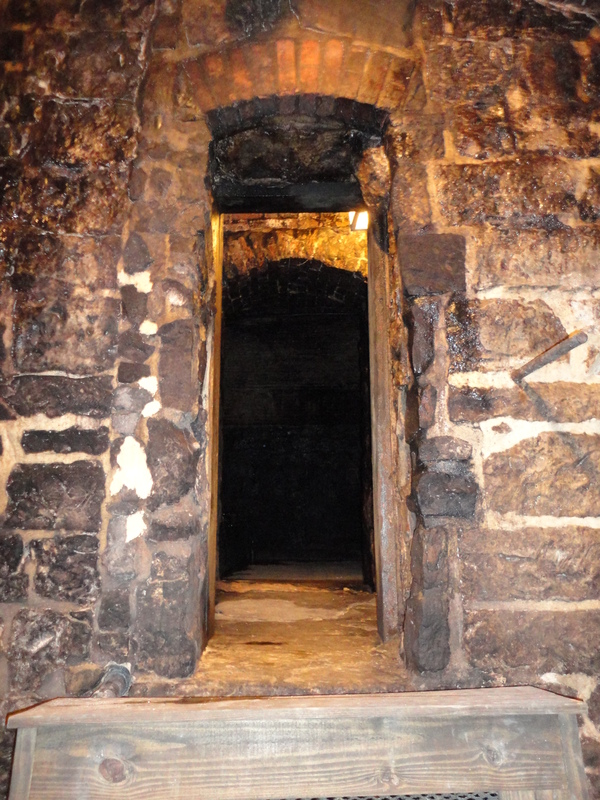 The whole cellar was built with bricks—-floor, walls, ceilings, arches. My husband and I were fascinated. We couldn’t imagine how the builders constructed the brick ceiling and arches. As we explored, the caves and cave homes from my mystery novels set in a troglodyte village in France sprang into my mind. 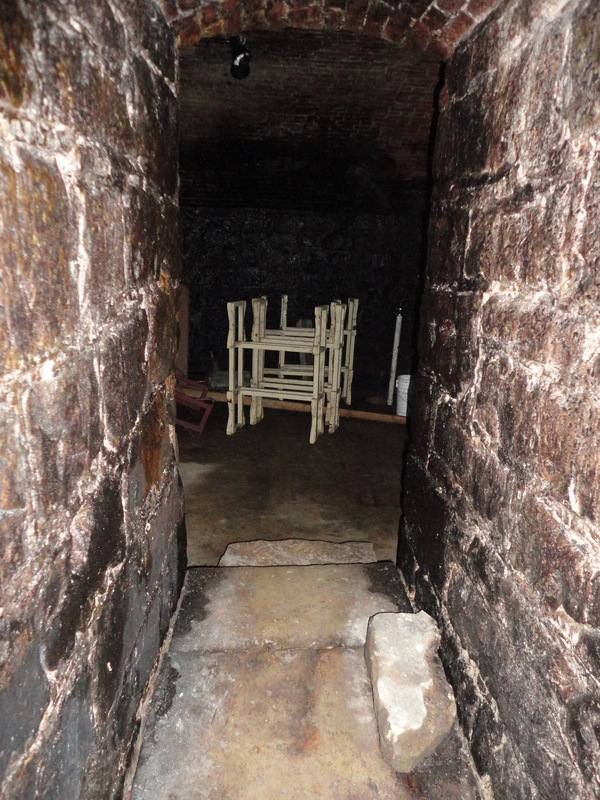 This cellar could easily fit into one of those books. But that wasn’t all. 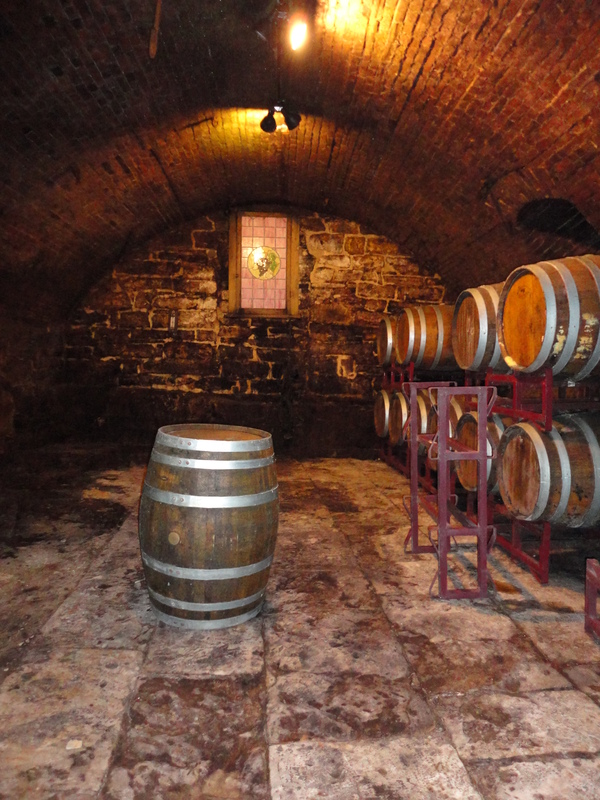 When I saw the rooms with huge barrels, I immediately thought of the time travel mystery I’m working on. In at least one scene in that book—which is set in Bavaria in the 1800’s—my modern day time travelers are hiding out in a cellar that looked (in my mind) just like this one. In my mind, some of the details were fuzzy. Now, I could see every little nook and cranny. I snapped picture after picture. I will use these as I work on those scenes. My husband found an open doorway that led into pitch blackness. He wanted to explore it. So did I. I dug out a tiny flashlight from my handbag. Men make fun of us for lugging around so much stuff, but you never know when you might need something. We went inside the little room. It was mostly empty and super dark even with the flashlight, but I managed to snap a couple of pictures. Back upstairs, we talked with one of the clerks. 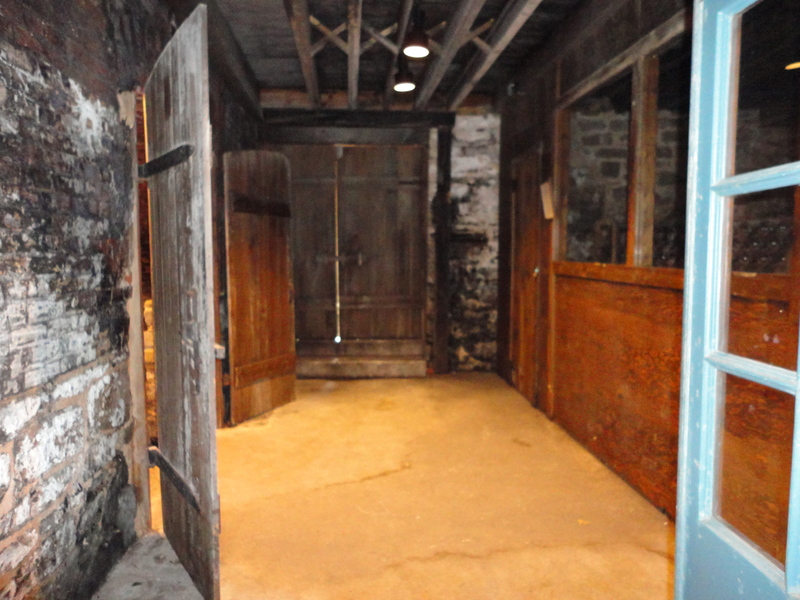 She told us that the wine cellar was built in 1848. When we got back into our car, I was happy. It’s these unexpected treasures that can make my day. If you like this article, please subscribe to my blog. Susan, This is quite a discovery for you. 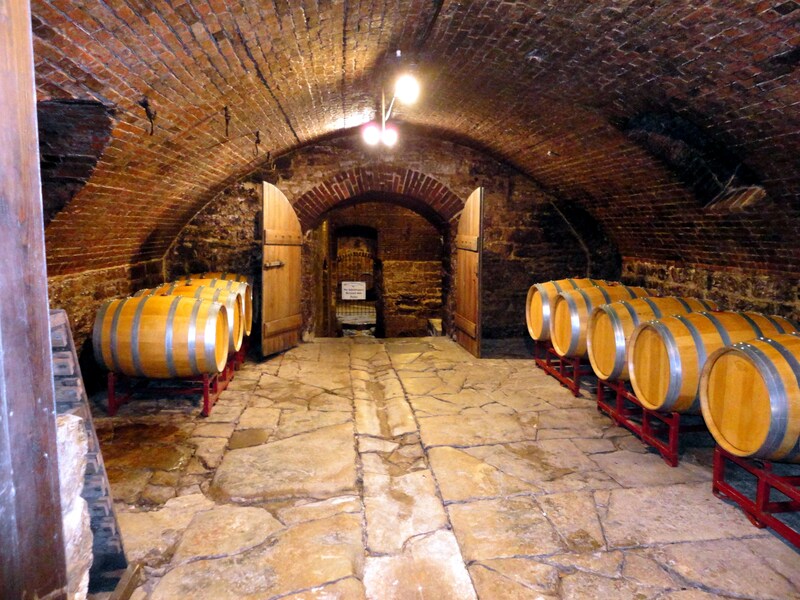 I can’t wait to read the chapter(s) where you use this inspiration to flesh out your cellar setting. I got a similar feeling when I visited Warwick Castle in England. Vibrations of the past speak to us in places like this. Thanks, Mary! It’s so true that the past speaks to us in places like this. I visited several castles in Germany years ago. The vibrations were amazing. I could almost visualize the people living there. Lovely article. I live in the St Louis area and there are some gorgeous wineries in St Charles County near Defiance. The scenery is breathtaking. We drove to St. Louis on I-70, but went back via Route 100. It took us right through the wine country. It was beautiful. I’m not sure if we were near Defiance. If we weren’t, we’ll visit that area on our next trip. Thanks. 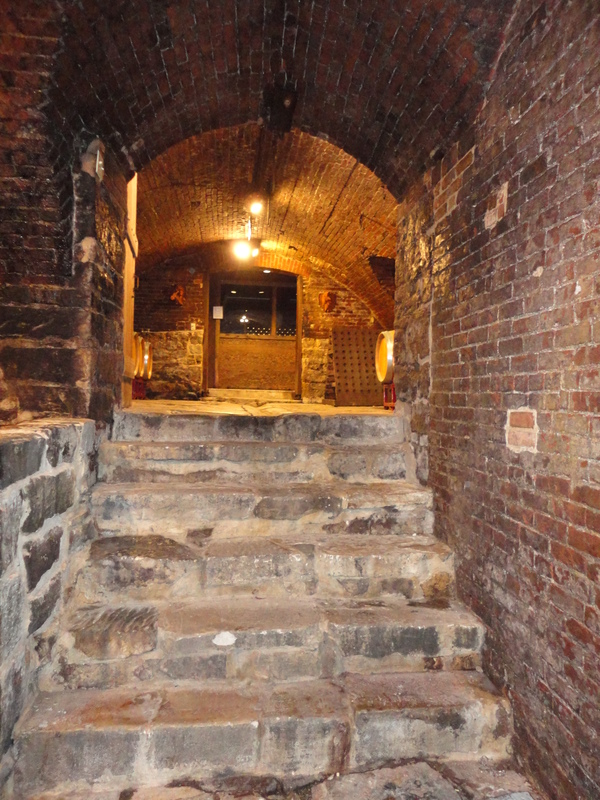 Leave a reply on "Inspiration in an 1800’s Wine Cellar"